This challenge politely requests that we put together a musical playlist for our book of choice. I've been peeking around Twitter which has seen a flurry of playlists being tweeted all over the place and they are BRILLIANT. You must check our their awesomeness! 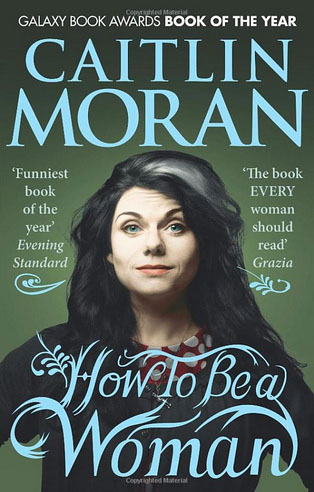 I'm currently reading How to be a Woman by Caitlin Moran. I know, random, and I thought, well I'm going to do my playlist on this marvellous piece of nouveaux-nouveaux-feminist writing! Everybody is designing a playlist for a mind-blowing array of fiction, well I, stubborn and so totally engrossed in Moran's awesomeness - will put together a playlist, especially for her contribution to feminism! I've included the videos below if you need to refresh your memory! Whilst reading this book I've had all of these songs suddenly pop in to my head. It was always a sign it seems, haha! Enjoy! P.S It seems that I fail at feminism. The majority of singers are men. You picked out such a fun and crazy mix of songs! You most certainly have me intrigued with this book! Yes! That's great news. If you do go on to read it, please, please venture back here and let me know if my song selection was on point or not! Haha :D! Nah, you didn't fail at feminism! LOL. Great list! I tried so hard to get System of a Down into my playlist (which is FINALLY published!) but failed. And no, you don't fail at feminism!